That article was unequivocally clear. The insurers had: “fears mobile phones will be linked to illnesses such as cancer and Alzheimer’s disease.” Twenty years ago, the industry already knew their business models were a risk to the general public, especially because insurers were already refusing to cover their biggest liabilities. And as TruePublica reported yesterday in Dieselgate to Phonegate – the news was was very much kept under wraps by the industry. As for the insurers themselves, they had learned hard lessons before. If you go back to asbestos, it wasn’t a problem either – until it became one. Asbestos claims helped bring the Lloyd’s insurance market to its knees in the early 1990s, where US claims alone accounted for an estimated $250 billion in losses. After years of contradictory industry led evidence, in February 2015, Lloyds of London, one of the largest insurers in the world, finally made its position absolutely clear with regards to exposure to non-ionizing radiation. In acknowledgement to clarification, this response was received on Feb. 18 2015, from CFC Underwriting LTD, London, UK agent for Lloyd’s – published in an article by RFSafe. ‘Dieselgate’ has widened out to other manufacturers since and has had many other impacts. Britain’s auto industry, for instance, has been brought to the brink of a real crisis with thousands of manufacturing jobs being axed and dealerships across the country threatened with savage restructuring. The sector is fighting some severe operational fires on several fronts – financial, environmental and regulatory as a result. It goes to show the (illegal) risks corporations are prepared to take with other peoples health and well-being in the pursuit of big bucks. And just as with the other big corporate health scandals such as tobacco, pharmaceutical, asbestos and Dieselgate – they continue to fail to clearly warn users of potential risks in their ads and packaging of the harms of using their products. The alarm bells are ringing for the industry. In May this year, 60-year-old Neil Whitfield is thought to be the first in Britain to sue a mobile phone company for developing a golf ball-sized brain tumour which left him deaf in one ear. Nokia is in the frame. Last year, Roberto Romeo, an Italian business executive won damages for work-related use of a mobile phone, which caused him to develop a benign brain tumour. A medical expert estimated the damage to Romeo at 23% of his bodily function. 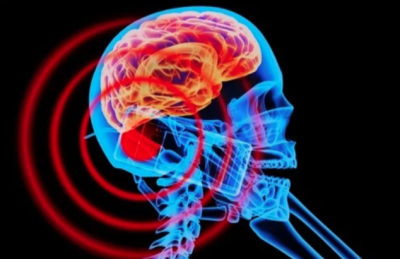 In fact, for three decades, dozens of cases have been filed in the US alone related to brain tumours and mobile phones use. In the last ten years, cases have started piling up. Many courts, especially in America have sided with the industry on the basis of a lack of evidence. More recently cases are being won on exactly those grounds. This appeal sits uneasily with the current massive roll-out of gas and electricity smart meters in the UK and the projected deployment of 5G. No-one at the industry level or policymakers in the British government has taken much notice of the ever-increasing warnings. However, it may surprise you to know that since 2005, UK Chief Medical Officers have recommended anyone under 16 should use mobile phones for essential purposes only and keep all calls short. That advice has still not changed. The first 5G ready smartphones are due to be rolled out later this year irrespective of the known dangers and the general publics mandatory exposure to it.